Determined, one woman with an idea and a phone! Determined, one woman with an idea and a phone. 10 today! Wow, it’s June 1st 2011 and I’m going to celebrate today that my first London based business, Amber Associates Recruitment has been operating for 10 years. That took some doing! My entrepreneurial journey began and what a ride! Laughter and some tears, but mostly happy times. I remember the first day very vividly. I’d quit my job and it was the Tuesday after the bank holiday, June 1st 2001. I sat there at our dining room table with my shiny new PC, notebook and a phone. With a vision, a plan of action, my target market and niche set, my recruiting skills learned from 5 yrs of working in the West End, City and the Docklands, I was ready to have my own business. I wanted to do it better, to give a better service, to have a better way of life. I was a start-up. Proud of joining the hundreds of thousands of other start-ups that year. I got on the phone and started to call Directors to see if they would like a new recruitment service, with a difference! You gotta have a USP. Mine was that I’d had 5 years recruitment experience coupled with 10 years Management experience in Hospitality and Retail, so knew what it took to build a team and businesses to 6 and 7 figures, I understood where my clients were coming from and how important it is to take on the right staff. The world was in shock. I invoiced in my first and second month, things were going according to plan. But then in my third month, September 11th happened. The world was in shock. The City was like a ghost town, it was so very eeery, no one was about and some of my friends had lost their colleagues in New York. I remember talking to a Director who was going to pack up and move back up North, where he thought it was safer. Fear was everywhere. No one was recruiting, so after a few weeks, I spent the time putting together some marketing material and made my website. We’ve got to keep going. One of many challenging times I had to learn how to get through. I was one recruiter amongst the 1200 Recruitment Consultants in the square mile, I was told one day. So I was soon back at my desk, getting on the phone, reminding my clients I’m here, ready to help recruit for them. With a passion, hard work and the sheer determination that I was going to succeed in this city, I picked up the phone time and time again. It worked! Nine months in and I was able to rent my first office in the City of London near Spitalfields Market and employed a Consultant. Yay, I had staff now! By the end of year 3, I moved again, into Devonshire Row, opposite Liverpool St Station and employed an Office Manager, Jennifer to join us. I loved that office. I loved my team. I loved my clients. I loved my Amber Temps. We got on famously and I’m still in touch with some of them today. Jennifer now has her own business in London too, called Debutots. We were a good team and grew the business year on year beating targets to multiple 6-figures. We were doing well and getting a great reputation for getting it right for our clients and our candidates. #Result! We worked so well together and helped hundreds of people with their next career move and helped build teams and businesses. The future was bright, Amber bright! Then, I nearly lost everything. Then, just as I was about to invest in a 3 storey building a few doors up from my office in Devonshire Row, the financial crash came and I lost 75% of my business in about 3 weeks. Companies had a recruitment freeze on. Most of my temps’ assignments ended quickly. It was horrible. No one knew what was going to happen. I cried for about 9 months after. To make things even worse, thanks to my landlord, we had another horrible surprise so I decided I was moving out and moving on. Why my landlord? From nowhere, with no warning, we were being threatened with having our electricity being cut off. Court letters arrived. Talks with lawyers started. Our landlord hadn’t paid the electricity bill for 13 years. WTF??!! So with all things considered, I decided to move out and build my Amber empire, again. Well, after a Jo James is leaving the City party! I turned our spare room into an office and continued to service my Media clients who were based in the West End while I pursued my next career and passion, personal development. In November 2008 I passed my Master Practitioner NLP course with NLP Life Training and in January 2009 combined my new NLP skills with my business skills and set up Amber Life to help business owners grow their business, launching on April 1st. Well you’ve got to keep your sense of humour, eh! The networking scene had changed and I kept meeting people who had been made redundant, or had enough of doing about 5 people’s jobs and were setting up by themselves. They were often taking me for coffee to ‘pick my brains’ and ask me, ‘How did you get your clients? When do I register for VAT? How did you do it?‘ etc. They were great at what they did, were talented executives, web designers, photographers, PAs who wanted to become VAs, but through no fault of their own as it wasn’t needed in their jobs, they hadn’t run a business before, and hadn’t had any sales or marketing experience. That was my driver, which it still is to this day, to share all I know to help you grow your business, to stay in business and create a thriving business, so you don’t have to get another job and can be free to do what you want to do in life. My recruitment skills have come in useful and my management and business building experience now helps you too! 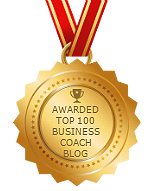 Some of my business coaching clients have grown their teams and I’ve helped them grow in confidence and develop their Management Style and How to Recruit the right staff. Knowing just how tough it is out there and what it takes to build a business I wanted to help others do it too, and make it easier for them. Keep your vision in mind, keep taking action and you can bring your dreams to life. Attitude and focus is key. Keep your values. Determination, hard work, passion, deliver excellence and get great results for everyone are my values which have kept me going. I was very proud of my service, the customer’s experience and the fact that I just kept doing it! Without it, I wouldn’t be here now and wouldn’t have been able to say woohoo, 10 years together, we did it. Thank you to all who took part on this journey. I’m taking my first client out to lunch to celebrate. Her testimonial? “Recruitment made easy”. What a ride! Onwards and upwards to the next 10 years. With alot of ups and downs in between, I expect! It’s now June 1st 2018 and I’m proud to say AmberLife is thriving and since 2010, I’ve helped hundreds of creative business owners, consultants and executives to significantly increase sales, build their business and achieve their dreams. Here’s to the next chapter. Hmm, talking of chapters, shall I write my book? What do you want to achieve next? What are you stuck on? If you need some help, get in touch today, I’d love to help you. Talking of celebrations. We’re celebrating 4 years of successful networking at Contacts and Cocktails on July 12th. Have a look here, it would be great to see you there and raise a glass to you. My events always attract a great group of like-minded business owners, we have a giggle and of course, talk business, creating collaborations and new business opportunities. No need to stand up as I make all the introductions. So you can sit back, sip delicious cocktails and relax! Come and join us click here for more information. 2018-06-04T09:49:25+00:00	By Jo James|Blog|Comments Off on Determined, one woman with an idea and a phone!